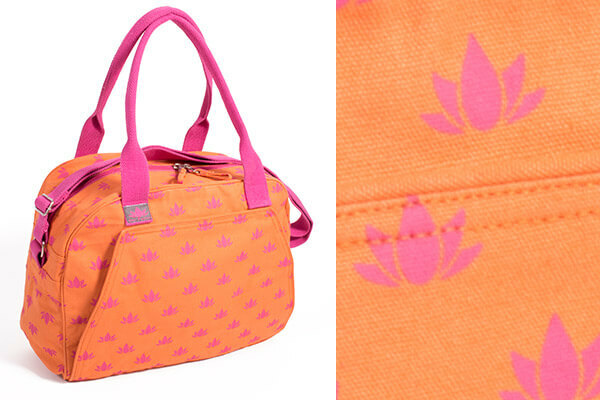 Stylish and practical Spa bag by Om Padma in their signature Lotus Flower print fabric. 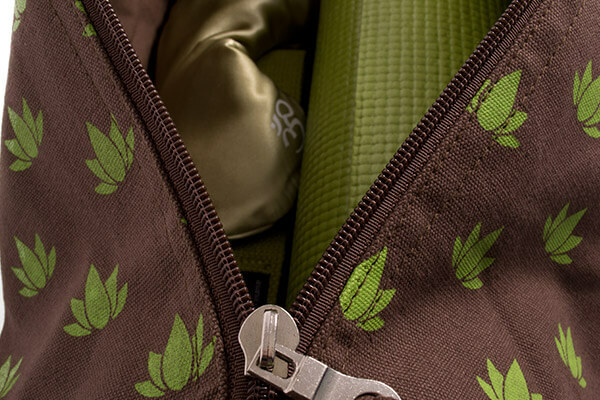 Whether you're off to the Spa or your Yoga class, this bag is perfect for your Yoga Mat and kit. Made of strong cotton canvas with a contrast cotton lining, one zipped internal pocket and a large (three sectioned) internal slip pocket and adjustable webbing strap. 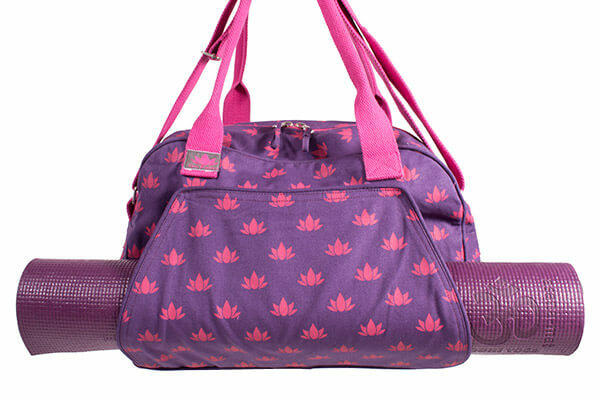 With the large slip pocket on the outside to hold your Yoga Mat this bag is perfect for a Spa break or a yoga retreat. 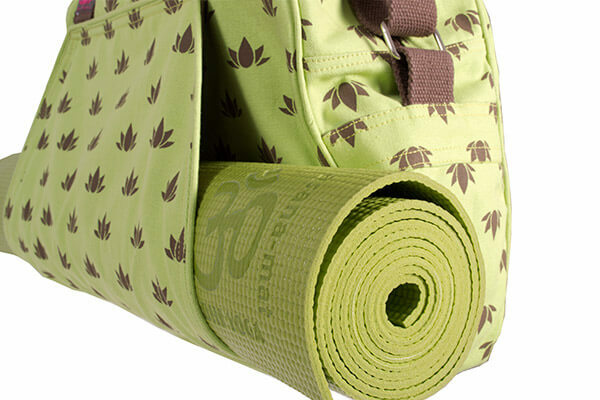 Different style of yoga bag. 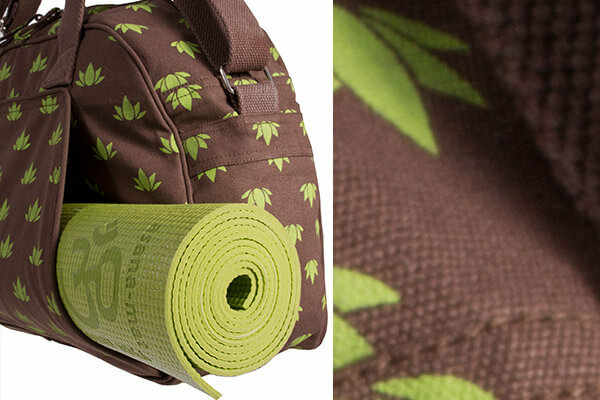 This is an unusual yoga bag and I like it because it’s different. I think you need a thinner mat than I purchased as it’s s little hard to slide the mat in. Nevertheless I like the bag and it will be perfect when I progress to a thinner mat. Goes well with my yoga mat. I love it and have bought one each for my daughters. 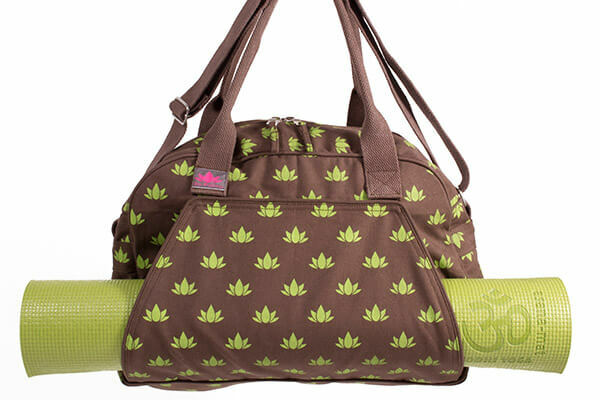 Excellent bag that is spacious enough to hold a couple of blocks, yoga blanket. 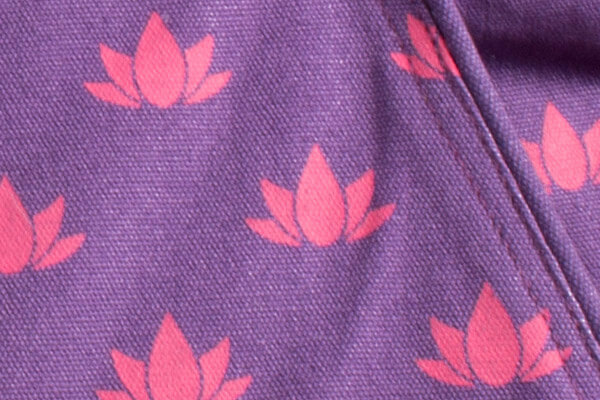 Outer pocket for mat is big enough for my Manduka Prolite mat. Useful inside pockets and great colour combination. Delighted with purchase. Bought as a gift I love everything about this bag! 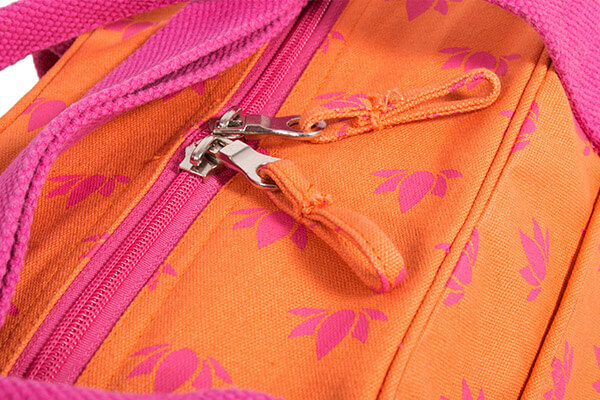 The colours are great, the fabric is high quality & it has pockets & mat holder so very versatile. May have to get one for me now! Purchased as a gift. Extremely happy with product, wrapping & speed of delivery. Wish the photos had included the interior though as I had to guess & hope. 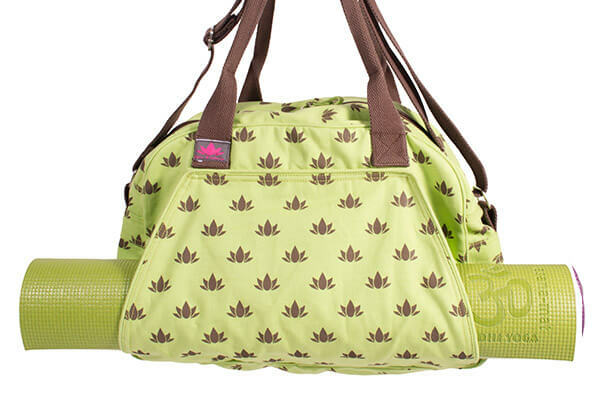 Superbly quick delivery and the bag is great for me to take to the gym and yoga classes. Many thanks. 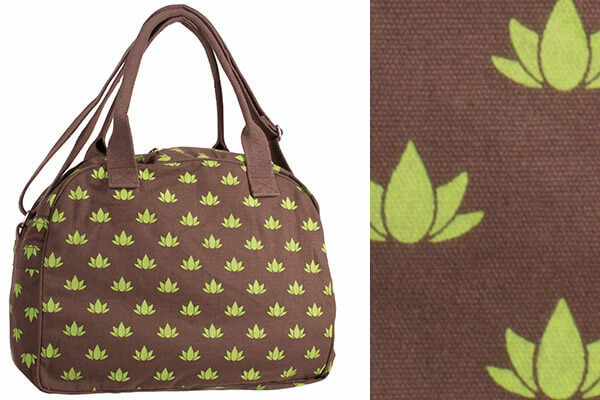 I ordered this bag 3pm Friday and it was with me Saturday morning! Lovely bag, bought for a present and she was delighted. Lovely design and great quality. A perfect mothers Day present! Delivered the very next day! Mum loves the bag - far better than the last bag she had..... Will definitely be buying from here again!